WiFi analyzer is an indispensable utility for troubleshooting WiFi related issues. 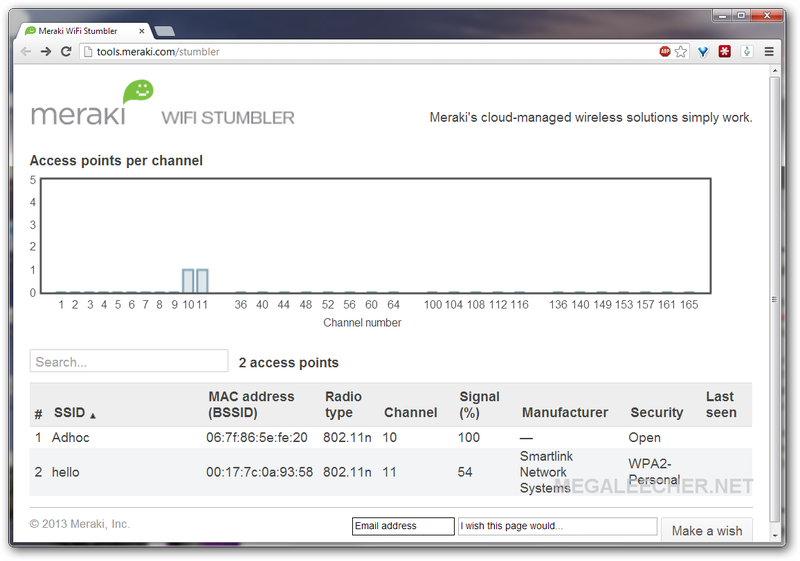 inSSIDer is an excellent utility to get the task done, however meraki Wifi stumbler is yet another convenient to use online WiFi analyzer which requires no installation and works from any device/web-browser which can run Java applets. 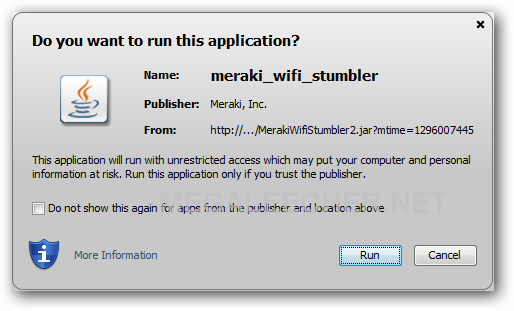 To get started simply open http://tools.meraki.com/stumbler in your web-browser and you will be shown Java applet warning as below - allow execution and make sure you click "Don't Block" in following prompt and your WiFi data will appear in your web-browser. 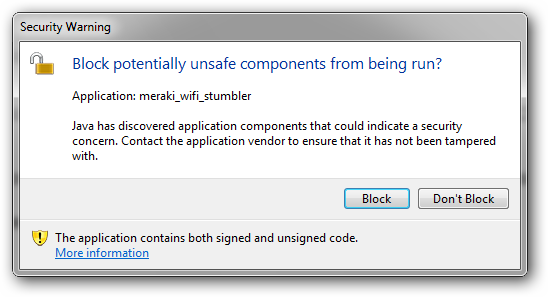 Zero Installation sure, but it needs the damned `Java Runtime Environment`. Please send me software om my mail id. It's no longer at that link.